Specialists in display shelving, pallet racking and bulk storage solutions. Specialist importer and wholesaler of shopfitting accessories to retail and commercial businesses. Leading designer, manufacturer and installer of fit-outs that will bring your retail and commercial spaces to life. Quick, convenient, and non-disruptive pallet racking inspections that comply with Australian and New Zealand safety standards. Shelving Shop Group is New Zealand’s storage specialist. As the leading manufacturer and supplier of commercial shelving, racking, shop fittings and bulk storage we can create space you never knew you had! Shelving Shop Group provides cost-effective bulk storage solutions for warehouses and retail uses. We provide a wide selection of products, from custom racking systems to the nuts and bolts. We specialise in the supply of dynamic warehouse storage systems, built to your specifications. Our heavy duty products are exceptionally stable and durable. Across our three divisions – Shelving Shop, RMS and Shopfit NZ, we offer a complete range of storage and display products designed to maximise your space and create efficiency in your business. From consultation and design to installation and maintenance, our highly skilled and experienced team provides an unprecedented turn-key solution with guaranteed follow up and on going support. 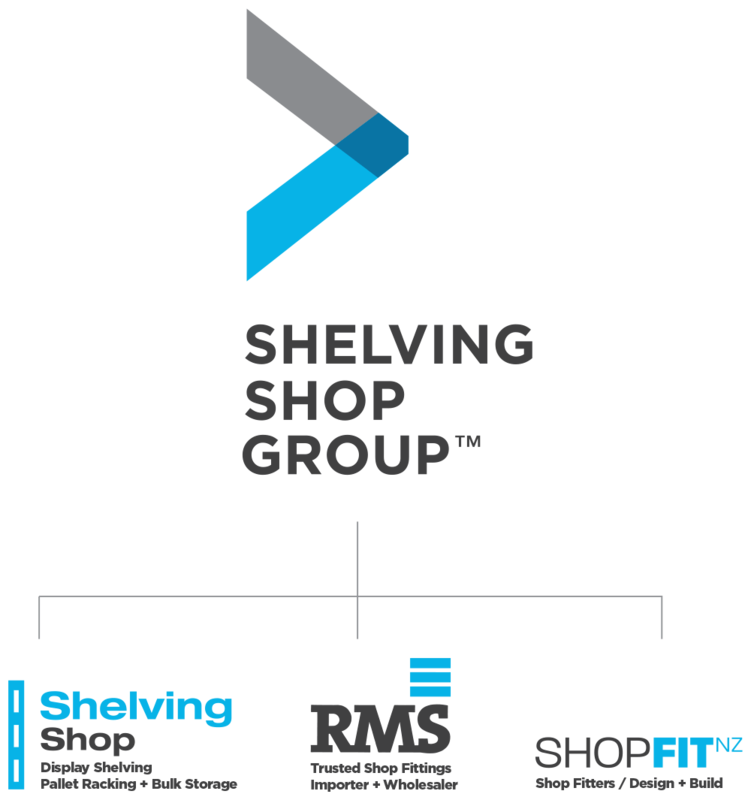 Shelving Shop Group has become a preferred supplier to large retail chains and smaller boutique retailers throughout New Zealand. Whether custom built to your requirements or off-theshelf, our products strictly adhere to international safety standards and are independently tested so you can rely on them in the most demanding environments. Investing in our people and technology results in tangible benefits for our customers. As a leading shelving supplier, we are passionate about helping customers to efficiently conquer their spaces by providing a complete and innovative storage and display service. Shop fittings, shelving, pallet racking, storage solutions and displays – from concept to completion you will find it here under one roof.